CED Solutions, LLC, the largest provider of Microsoft certifications in North America, with company headquarters in the Atlanta area, is proud to announce that CED Solutions will provide free Microsoft Office Suite training for the first 1,000 applicants, adding additional value to the Microsoft Elevate America Program in Georgia. "CED Solutions is very happy to provide the skill sets necessary to work in the office environment to unemployed individuals," said Rich Rodgers, President and CEO. "In this difficult economy Microsoft Office skill sets are important for job seekers." CED Solutions, the #1 provider of Microsoft certifications in North America, and a Certified Partner for Learning Solutions (CPLS) will be providing free classroom live-instructor-led Microsoft Office Suite training for the first 1,000 unemployed individuals who apply for the program. Potential applicants must be able to provide verification as to their current unemployed status. CED Solutions provided free similar training to many hundreds of unemployed individuals in 2009 in the classroom. Microsoft and the state are teaming up to provide free online training to workers who want to improve their tech skills to land better jobs. A total of 30,000 vouchers will be issued to Georgians interested in learning how to use Microsoft Windows or one of its other office programs. The vouchers also are good for certification exams that will help prove to a prospective employer that the person is proficient at specific computer skills. "CED Solutions is very happy to provide the skill sets necessary to work in the office environment to unemployed individuals," said Rich Rodgers, President and CEO. "In this difficult economy Microsoft Office skill sets are very important for job seekers." Advanced training vouchers are available for professionals interested in Web development or database management. “This partnership will provide thousands of Georgians with the education and skills required to succeed in the new economy,” Gov. Sonny Perdue said Friday at a Capitol news conference attended by Microsoft CEO Steve Ballmer. Ballmer pointed out that the need for computer literacy in the workplace is growing dramatically. Now, he said, about half of the jobs in our economy require some computer skills. That will grow to nearly 75 percent of the jobs within about five years. “It’s going to take a lot of public-private partnerships, not just with our company,” Ballmer said. The application for the vouchers, part of Microsoft’s Elevate America program, can be obtained online at http://www.gaworkready.org. The vouchers will be issued on a first-come, first-served basis. Microsoft’s program is now available in 10 states. The company hopes to improve the tech skills of up to 2 million workers when the program is fully rolled out, Ballmer said. 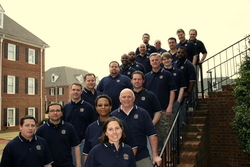 CED Solutions may be contacted by calling (800) 611-1840, email at info@cedsolutions.com, and by visiting the website at http://www.cedsolutions.com. CED Solutions provides Microsoft training classes, Cisco certification classes, Oracle certification classes, Novell, EC Council, SCA, CompTIA and many other programs. CED Solutions is also a member of Mi-Training Partners, a large group of CPLS training partners throughout the United States and Canada.